Apache mod_deflate module is one of the best friends of a cPanel system administrator. It allows you to save bandwidth and accelerate page speed response by deflating output filter from your server to be served compressed (gzipped) before it goes back to the client. How can I enable Gzip on WHM for all my cPanel accounts / domains? cPanel comes by default with Apache 2.4, and on this kind of servers it’s pretty easy to enable Apache Gzip compression for all your server accounts. 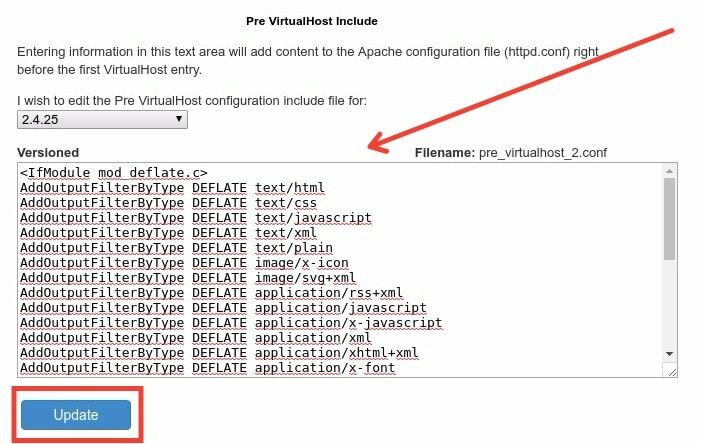 If you have your own Dedicated Server or Cloud VPS with full root access ro WHM, the you can enable Apache mod_deflate globally for all your cPanel users. 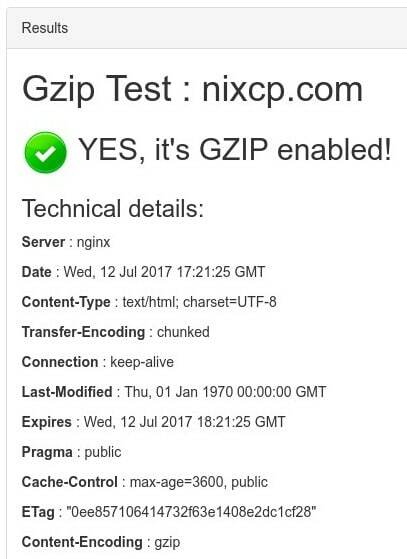 This tutorial will show you how to activate Gzip compression for Apache on cPanel using mod_deflate. Replace 111.222.333.444 with your real server IP address. Edit “Pre VirtualHost Include (All versions)” block. Add this code to your Pre VirtualHost include, as you see below. After adding that code into your Apache configuration, make sure to hit Update button, so all the settings can be saved. Then hit the Restart button to apply the changes. You can use sites like gzip test to verify if all your WHM websites are using the mod_deflate configuration you specified. Alternatively, you can simply use curl from the Linux terminal, like this. That’s all, now you know how to enable gzip compression for all your accounts on a WHM based server.